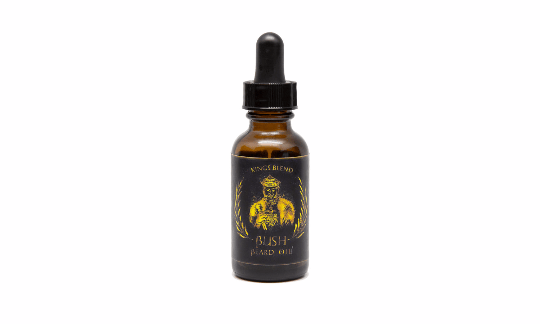 Following on from testing ‘Janissary Blend’ Beard oil, I have now tested ‘Kings Blend’ beard oil from Bush Beard Co. I had an idea of what this oil would smell like as soon as I saw the name ‘Kings Blend’, I knew that it scent was most likely a tribute to the Kings that are said to have bought gifts to the new born infant, Jesus. I’m no longer a religious person but Frankincense still reminds me of Mass, the thurible churning out plumes of sweet smelling smoke. ‘Kings Blend’ is a nod to the Kings from the New Testament, Frankincense, Myrrh, Patchouli, Lavender, Cedarwood, and Oak essential oils are blended into a base of Jojoba, Sweet Almond, Pure Apricot, Grapeseed, Kukui Nut, Vitamin E and Aloe Vera oils. The result is a warm and sweet smelling oil with a woody aroma. Frankincense contains sesquiterpenes that stimulate the part of the brain that deals with emotions and it lifts our mood, this is why it has been used in religious services and for meditation. The oil is a fairly light oil and placing some in the palm of your hand and rubbing your hands together warms the oil, this then releases the full aroma of those essential oils. I really like oils that contain Frankincense and Myrrh and the addition of patchouli, Lavender, Cedarwood, and oak has worked very well, these oils are blended so well that no one oil over powers another and the result is a very nice oil. ‘Kings Blend’ left my Beard feeling soft and also looking good with a nice amount of hold, this oil would not in my opinion disappoint and I have really enjoyed using it over the past few days.